encore Deals! 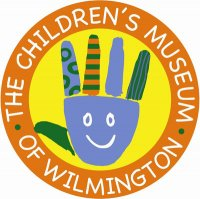 | 50% Off a 12-Month Anytime Membership to the Children's Museum of Wilmington! 50% Off a 12-Month Anytime Membership to the Children's Museum of Wilmington! Must be redeemed by January 31, 2014. The Children’s Museum of Wilmington stimulates children’s imagination, curiosity and love of learning. Our Museum celebrates the joys of childhood by providing magical and playful experiences for children of all ages. Our goal is for all visitors to learn amazing things about themselves and the world in which we live through informal, playful, hands-on and child-directed experiences. In our warm and inviting environment, children find ample opportunity to explore and better understand art, science, culture and more through engaging exhibits and daily programs. The Museum serves children ages 1-10 and their adult company.